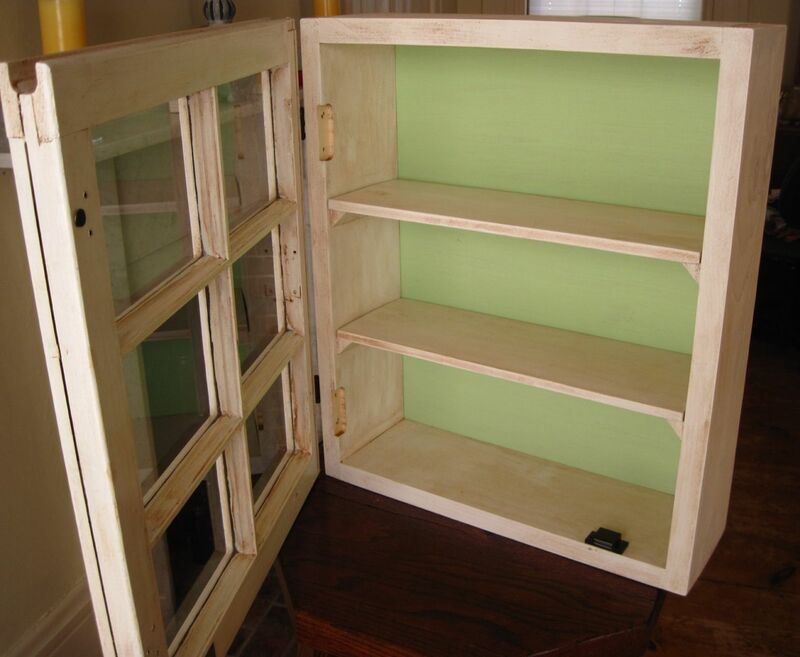 Repurposed window display cabinet is made from a locally procured 1800's farmhouse window. It has been painted white and coated with an antiquing glaze. 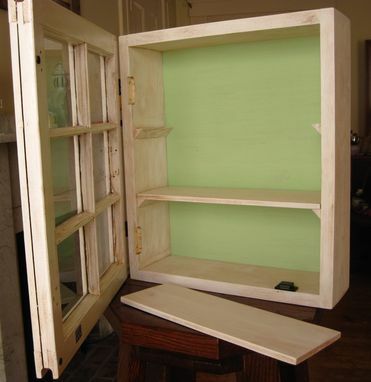 The background of the cabinet is painted zen garden green. Display photos, candles, glassware, decor, dishes, small planters, etc. 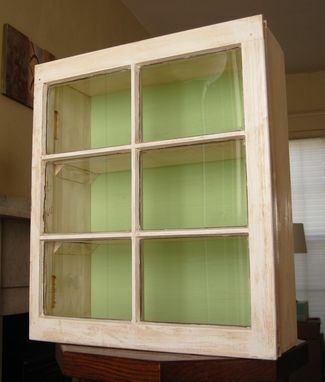 in this bright window cabinet. Mounts through back of cabinet into wall studs. Mounting screws included. 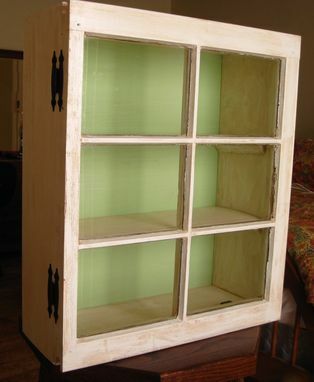 Cabinet is freestanding and can also be displayed on a table. The cabinet wood is locally sawed from trees felled in a storm. The tree would have otherwise been disposed of. Contact me for a quote on international shipping.